At B.R. Kreider, we understand that your home is more than just a place to live – it’s an investment. Our family has been doing this since 1936. 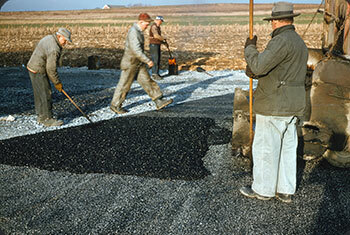 We have been caring for our customers’ properties and driveways for a very long time. Our business has been built on the core value of “Do unto others as you would have them do unto you”. That means we will treat your driveway or paving project as if it is our own. We are determined to provide you the best driveway and are willing to offer an extended warranty to prove it. "Do unto others as you would have them do unto you." The words we recall from our Christian principles have been the cornerstone of the B.R. Kreider & Son, Inc. philosophy since the inception of our business. Today, as then, we are dedicated to providing our residential and commercial customers with the highest value and level of quality and service. Benjamin R. Kreider founded B.R. 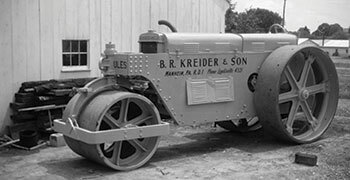 Kreider Landscaping & Grading business in 1936, after being associated with Root's Nurseries, Inc. for 19 years. Upon establishing his own excavating business, Ben purchased a new 1936 22 CAT excavating machine and employed his first operator. Ben's wife, Virgie, supported her husband throughout the years by being his loyal bookkeeper. His son, Elvin, worked closely with his father during the summers and after school. In 1946, Elvin married and also became a partner in his father's business, thus changing the name to B.R. Kreider & Son. Ben and Elvin expanded the excavation services and developed an asphalt paving service to a residential and commercial customer base. Business prospered, and in 1969 it was incorporated and became known as B.R. 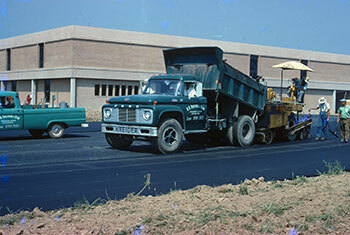 Kreider & Son, Inc. Also in 1969, a new building was constructed to facilitate the continuing growth of the business. 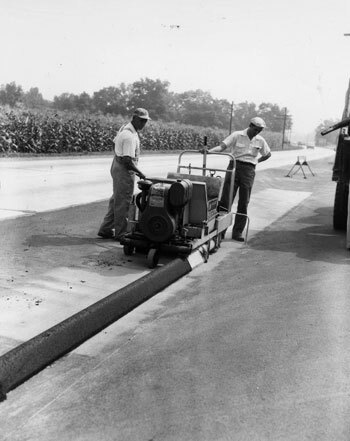 In the early 1990s, the company invested in a new, innovative product of asphalt, which is an asphalt texturing system called "Street Print", providing a new realm in the world of paving. During the 1970s, 1980s and 1990s, two of Elvin's sons, Ken and Jim, shared in the management of the operations and administration of the actively growing company. Elvin's, daughter, Carol, has assisted with the administrative part of the business since the mid 1970s. Elvin retired in 2001 and the third generation, Ken Kreider, Jim Kreider and Carol Buchen, assumed majority ownership of the business. On December 21, 2009 the fourth generation, Brent Kreider, son of Ken Kreider; Heidi Hollinger, daughter of Jim Kreider and Courtney Dougherty, daughter of Carol Buchen acquired 100% of the business from their parents. 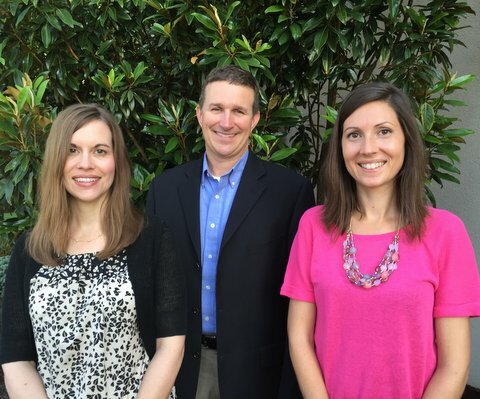 The fourth generation has committed to a partnership to continue the legacy of the Kreider family business, B.R. Kreider & Son, Inc - serving the community with respect, integrity, experience and a raised standard of work ethics. The overall mission of B.R. Kreider & Son, Inc. is to bless others as we have been blessed. To our community, we are to provide dedication and service. To our customers, we offer dedication and the very best service and quality. To our employees, we offer a stable company, an enjoyable place to work, and opportunity for growth. To our family members, we provide opportunity and the love of our family as we grow the business together. To the Lord, we will operate by His values and preserve the landscape on all work that we do.